If you find online privacy important while downloading torrents, then this is something good for you. KickassTorrents is going a level higher in security by adopting SSL connection for all of its visitors to hide footprints of people sharing torrent files. As you all should be aware of, usual web browsing and file downloading can be snooped and observed by third parties like authorities, ISPs and also hackers. If you don’t want this to happen, SSL connection will be here to help. While many other big torrent engines support the SSL, then KickassTorrents will make it mandatory, which means for a regular user that his visit will use the https protocol. 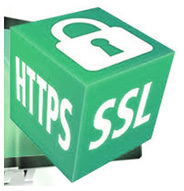 For those who are not aware of exactly what https or SSL means, read on and find out now. SSL in other words Secure Sockets Layer, is a known method in security technology for encrypting data that is being transferred between the server and user. This makes all data private for other people in the same server or connection. The reason for this is believed to be big wish from its users and also necessity for privacy in today’s world full of online snooping. Though it will hide the exact activity of users, it is worth to mention that it still won’t replace the VPN services. The SSL doesn’t hide the users IP, which will be done by a Virtual Private Network (VPN).